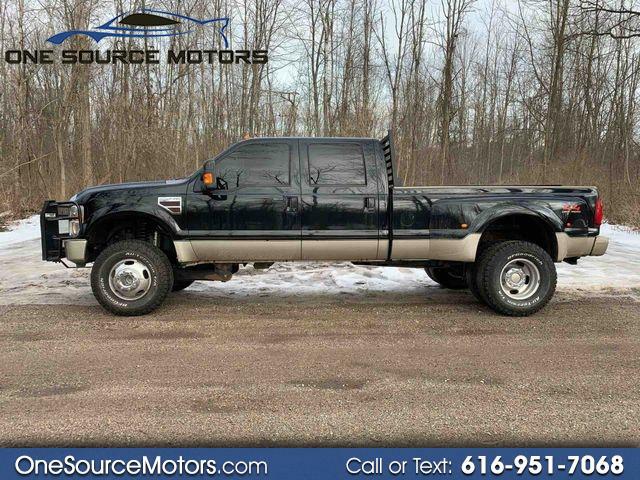 This 2008 Ford F350 Diesel is an amazing truck, this particular truck came to us form Georgia, which means no RUST!! When the truck first arrived we had put it through a complete inspection, and found that the short block need to be replaced. So our team of certified technician did an excellent job of making this happen. The short block came directly from Ford. Now lets move on the fun stuff.... This truck is equipped with a very strong aggressive custom made brush guard by " The Welding Shop". The King Ranch package makes for an extremely luxurious comfortable ride. Also the 5th wheel towing capabilities make towing seamless. As far as suspension goes this truck features Fox suspension all the way around, and the lift gives it a perfect stance! This truck is a must see, as all the work has been done very well!